The Auto Speed Bud stems from the Early Misty lineage. 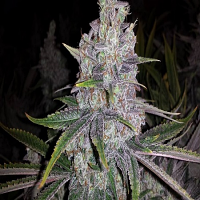 That was bred by Ferry and released through Nirvana Seeds. 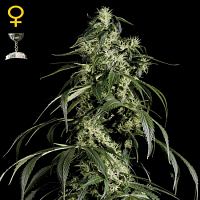 Auto Speed Bud Feminized Cannabis Seeds by Female Seeds: The Auto Speed Bud stems from the Early Misty lineage. 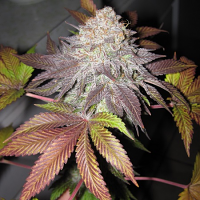 That was bred by Ferry and released through Nirvana Seeds. 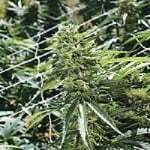 It is the predecessor of the autoflowering strains. The line we used to create the Auto Speed Bud was specially selected on speed and dense, resinous buds. Low leaf production, with more flowers than leaves. 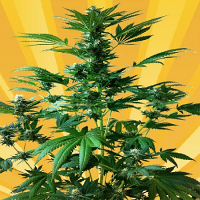 Perfect for beginners or lazy growers, since it will flower on any balcony or windowsill and produce good quality cannabis as long as it is not too cold. The Auto Speed Bud does not require too much attention. The smell is not so intense, so Auto Speed Bud is perfect for stealth growing. The harvest will depend on the amount of light received.